The United States Patent Trial and Appeal Board (“PTAB”) recently dismissed another inter partes review (“IPR”) based on an assertion of 11th Amendment sovereign immunity. This decision demonstrates the willingness of the PTAB to permit State agencies (such as public universities, medical schools, and research centers) to effectively shield their patents from the threat of post-grant proceedings at the PTAB. While this is certainly a benefit to entities that can take advantage of sovereign immunity, it does not completely insulate government-held patents from any validity challenge, as more traditional approaches of invalidating patents still remain viable avenues for those accused of infringement. In NeoChord, Inc. v. Univ. of Md., Baltimore, Case No. IPR2016-00208, Paper 28 (PTAB, May 23, 2017), the PTAB dismissed Petitioner NeoChord’s instituted IPR proceeding after the Patent Owner, the University of Maryland, Baltimore (UMB), asserted that the proceeding could not continue because the UMB was entitled to sovereign immunity. This decision follows an earlier decision by the PTAB in Covidien LP v. Univ. of Fl. Research Foundation Inc., Case No. IPR2016-01274, Paper 21 (PTAB, Jan. 25, 2017), in which the University of Florida’s Research Foundation was also able to obtain dismissal of an IPR petition on sovereign immunity grounds. In the UMB case, the PTAB found that UMB was an arm of the State of Maryland, and then followed the Federal Circuit’s analysis in Vas-Cath, Inc. v. Curators of Univ. of Missouri, 473 F.3d 1376, 1382 (Fed. Cir. 2007) to find that IPRs are adversarial, contested proceedings appropriate for an assertion of sovereign immunity. NeoChord’s argument that UMB’s voluntary participation in briefing the IPR amounted to a waiver of sovereign immunity by conduct was found unpersuasive. The PTAB noted that UMB had not “delayed for any tactical reasons,” and thus the PTAB followed precedent holding that “mere participation in judicial proceedings does not create a waiver unless the State has taken affirmative steps to invoke federal jurisdiction.”” Likewise, NeoChord’s assertion that the U.S. Supreme Court has recently found IPRs to be akin in some respects to reexaminations (an ex parte proceeding for which sovereign immunity was not historically a proper defense) was interesting, but ultimately did not carry the day. The PTAB’s stance on sovereign immunity has several important benefits that flow to eligible entities and their patents (and, to some extent, co-owners of those patents). First, it is common practice for patents having a higher likelihood of validity to command higher royalty rates. For example, patent license agreements commonly have a royalty escalation clause that increases the royalty rate in the event the licensed patent survives a validity challenge. If patents owned by governmental entities (e.g., public universities) are not susceptible to IPR challenges, an argument exists that higher royalty rates are warranted at the outset. 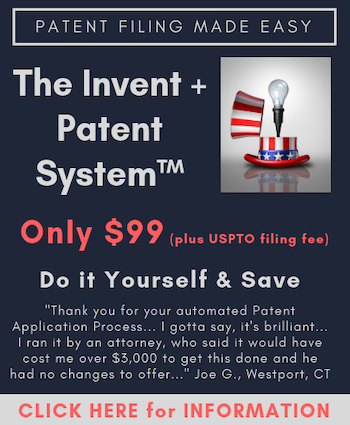 Second, in the context of universities, one obstacle to policing unauthorized use of patented technology is the high cost of patent litigation and the nearly ubiquitous threat of an associated post-grant proceeding (e.g., IPR challenges). With the assertion of sovereign immunity, universities have a mechanism to dispatch with such post-grant proceedings at an early stage and with minimal expense. And, as the relevant decisions accumulate, potential challengers will ultimately curtail the filing of post-grant proceedings to governmental patents. Third, patent owners such as public universities and hospital systems that traditionally enter into licensing agreements may find that research sponsors no longer demand full ownership of patents resulting from sponsored research and/or clinical studies, favoring instead a joint ownership structure. Presumably, since all owners of a patent are necessary parties to an IPR (and district court litigation), even a private, for-profit entity that is a joint owner of a patent with a public university or hospital may be able to benefit from assertions of sovereign immunity. While sovereign immunity certainly alters a patent challenger’s strategy, traditional avenues of attack still remain, and a savvy potential challenger may be able to benefit from a well-drafted license. First, while post-grant proceedings continue to be a popular avenue for challenging the validity of a patent, in the right context, ex parte reexamination can still be employed to mount a challenge to the patent under the Patent Office rubric. Second, post-grant proceedings are not the inexpensive panacea that some originally expected. Therefore, challengers can rely directly upon more traditional district court litigation and further skip the fight over staying the litigation while a Patent Office proceeding plays out. In addition, recent developments in patent venue (e.g., the Supreme Court’s decision in TC Heartland LLC v. Kraft Foods Group Brands) may curtail certain patent owner’s ability to obtain a home court jurisdiction as a matter of course. Third, a renewed motivation to license governmental patents exists because unlicensed competitors may be prohibited from challenging the licensed patent in view of sovereign immunity. While this will potentially increase licensing costs, the additional commercial benefits may outweigh those increased costs. Time will tell whether NeoChord will appeal the PTAB’s Decision to the Federal Circuit. But, at least for now, the sovereign immunity stance adopted by the PTAB has implications for both patent owners and petitioners. Patent Owners should reevaluate their patent portfolio, update their licensing approach, and be prepared to assert sovereign immunity at the outset of any challenge. Challengers can look for licensing opportunities that allow them to benefit from a patent owner’s sovereign immunity and be prepared to rely upon traditional approaches to challenging a problematic patent. Stephen Gardner is a Partner in the Intellectual Property Group of Quarles & Brady, LLP. Steve focuses his practice on IP-related transactions and litigation. He works with both national and start-up companies, as well as research institutions and other IP owners to promote their technology through licensing and collaborative agreements and to maximize commercial value of their developments. When commercialization of IP assets is jeopardized through infringement, or IP agreements are breached, Mr. Gardner assists clients in a variety of enforcement efforts, including proceedings before numerous U.S. district courts and the U.S. Patent and Trademark Office. For more information, or to contact Steve, please visit his firm profile page. Joel Austin is a Partner in the Intellectual Property Group of Quarles & Brady, LLP. Joel focuses his practice in the area of intellectual property law, with an emphasis on patent defense, enforcement, and prosecution of mechanical and electrical technologies. He has comprehensive experience in various legal proceedings to invalidate or uphold issued patents, including trial experience with Inter Partes Review trials in front of the United States Patent Trial and Appeal Board and appeals to the United States Court of Appeals for the Federal Circuit. For more information, or to contact Joel, please visit his firm profile page. Nikia Gray is a Partner in the Intellectual Property Group of Quarles & Brady, LLP. Nikia devotes most of her practice to district court litigation, particularly high-stakes competitor litigation, in the areas of patent, trademark, copyright, and unfair competition. She also has extensive expertise with administrative proceedings before the United States Patent and Trademark Office, including Inter Partes Review and Post-Grant Review, and a thriving trademark and patent prosecution practice. As a trusted advisor, Nikia provides strategic counseling to clients in the acquisition, protection, and monetization of their patents, trademarks, copyrights, and trade secrets. Nikia also counsel clients on strategies to avoid disputes, including performing due diligence and policy review. For more information, or to contact Nikia, please visit her firm profile page.